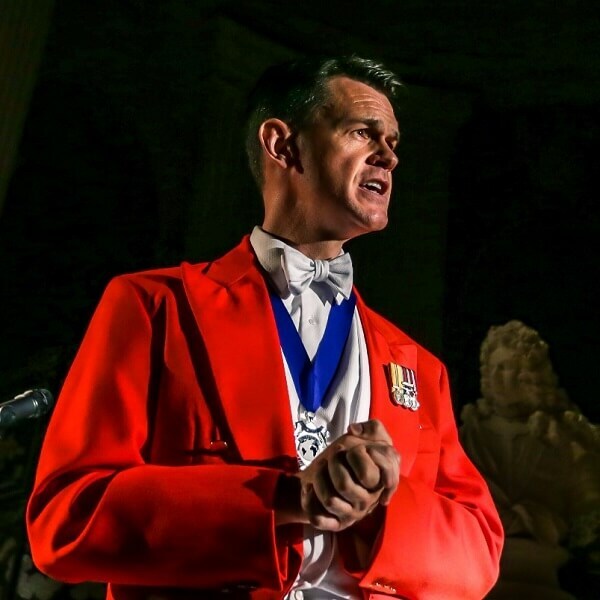 For events such as weddings, award ceremonies, formal dinners and black tie gatherings of all varieties, a Toastmaster is available. The Toastmasters’ job is to guide the audience through the different stages of the proceedings. They do this by announcing the guests and calling for order before speeches. As well as this, they make announcements as required. We at Chosen Events know that they need to look well dressed, and in their traditional red jackets, they certainly accomplish this feat. The Toastmasters add a sense of formality to the occasion, and can also bring a very experienced eye to your event, to ensure a smooth running of the evening. By conducting themselves with dignity and authority for the entire event, they allow others to get lost in the magic of the night and enjoy all that takes place. Engaging Mark for your event allows you to relax and have your day run the way you want it. He has over 30 years’ experience in both industry and the performing arts, is a trained actor and his years in the industry have been based mainly around customer service with some of the world’s most distinguished car manufacturers including Jaguar and Aston Martin. This experience has allowed him to work with and work for people from all walks of life. He is equally at home with those at the sharp end, the shop or workshop floor, as he is dealing with celebrity and even royalty, all of whom he has experience of serving directly. When not being a Toastmaster Mark’s day job is split between being a professional event host (a Toastmaster without “the suit”), a presentation skills trainer (helping those requiring confidence to speak in environments they may find uncomfortable, such as in public or at an interview). Therefore, in addition to being able to help at your event on the day, he can also help those who are to be a part of it. So if you or anyone has to speak and you want advice or possibly training to get presented in the best way you can, then he can help you with that too. Please note that the Red Coat is optional. However, the skills provided by the man wearing it are just as important for events where the Red Coat is seen as being a bit over the top. Black Tie, White Tie or a smart selection of suits are also available where more appropriate. 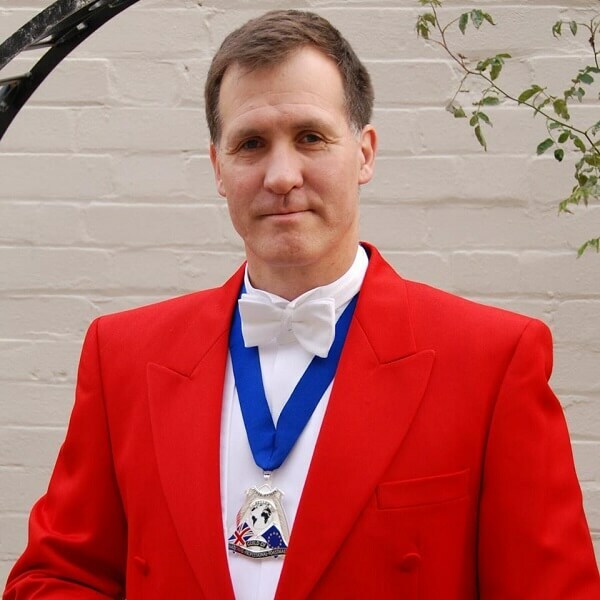 Peter is a distinguished Toastmaster and MC, who has introduced a fresh and modern approach to the traditional role of the Toastmaster and MC. His dynamic and interesting delivery meets the needs of today’s discerning audiences; in fact, one of his clients has dubbed his presentation skills as "Style with a Smile". Many clients require less formality, this is where Peter’s experience, expertise and friendly guidance comes into its own. His unique approach is equally sort after by event organisers, VIPs and celebrities alike. Peter has officiated at over two thousand five hundred events, including, Awards, Weddings, Fund Raisers, Bar Mitzvahs, Diplomatic/Civic Receptions, Conferences, Royal Visits, Cocktail Parties and Corporate Functions. 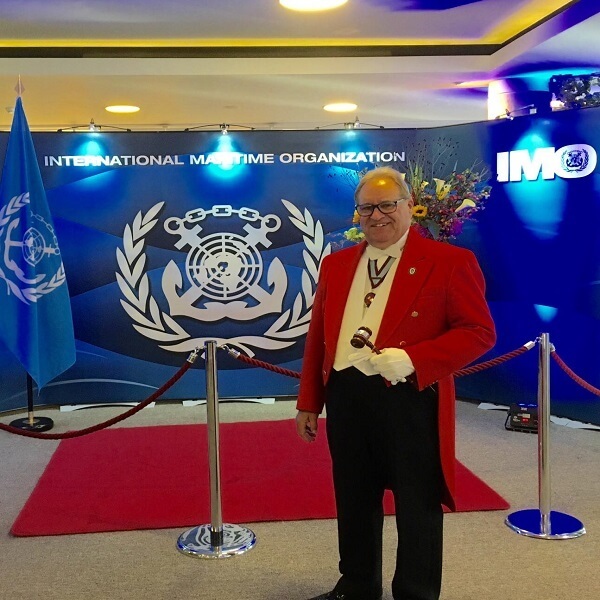 He has worked in some of the finest banqueting venues and as well as being a familiar face in London’s top hotels, he’s worked in Brussels, Zurich, Stockholm, Barcelona, Dubai, New York and aboard the luxury liner Queen Mary 2. He has appeared on television and has been interviewed on BBC Southern Counties Radio (5 times) and on LBC Radio by Sandi Tocsvig. Not to mention appearing in the Toastmaster’s team on BBC Television’s ‘Eggheads’. His experience, qualifications and final election to President of The National Association of Toastmasters speak for themselves; however, even with this unsurpassed reputation within the industry, he still strives for perfection at every engagement. Throughout his career, he has officiated at many formal events and has had the honour to work in the presence of Royalty, Prime Ministers, Ambassadors and High Commissioners, as well as HM Lord Lieutenant's, High Sheriffs, Lord Mayors/Mayors, Diplomats, Captains of Industry and countless Celebrities. Although these functions come in many different guises (from large banquets to cocktail receptions) it is imperative that the Master of Ceremony is capable of introducing titled guests, foreign diplomats or any others that may hold high office. 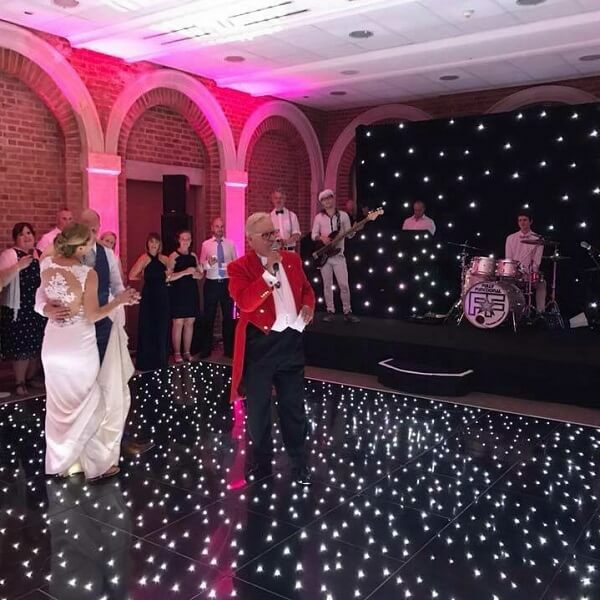 So whatever the occasion, it is paramount that you engage the services of a qualified and experienced professional, who understands the importance of the event. Trained and educated at both the Royal Military Academy Sandhurst and The Royal Air Force College Cranwell, Matthew understands the importance of getting things done right with precision and etiquette. Coupled with further training from the world famous 'Guild of International Professional Toastmasters', of which he is a Fellow, he is more than capable of providing you with the best Toastmaster or Master of Ceremonies service. Having organised and coordinated numerous functions and events for both military and civilian organisations, he has a wealth of experience and knowledge to assist you with any type of event which you are planning. As your Master of Ceremonies Matthew has a confident but unobtrusive style that varies to suit the protocol and requirements of the occasion. He will work closely with you to ensure that you receive correct advice and the right level of attentive service. Clients, guests, delegates & diplomats, on business & pleasure, have benefited from his skills as an event producer. So when you hire him as your Toastmaster, you get more than a professional Toastmaster. He's also a master of logistics with an eye for detail, a sympathetic ear, a strong clear voice and a safe pair of hands. 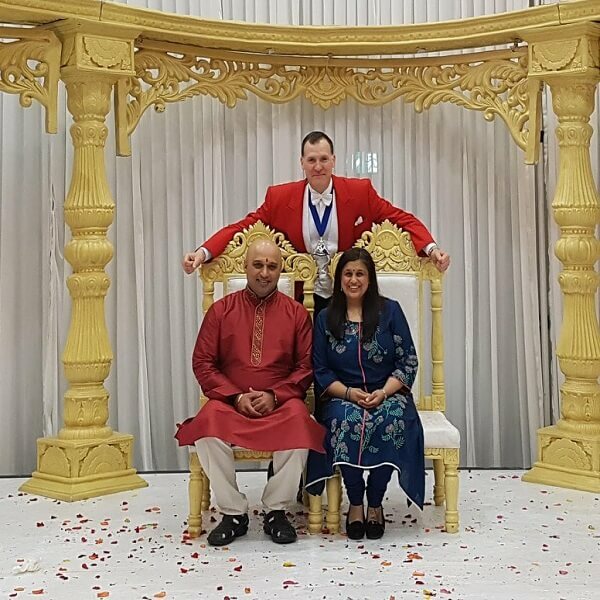 He is available for any type of function including Civic Functions, Masonic Ladies Nights, Civil Ceremony Weddings, Weddings of any faith or culture; Conferences, Corporate Dinners and Charity Events. Matthew will happily coordinate and control the event by ensuring that it runs on rails and more importantly to time. Liaise with the Caterers to confirm: timing and order of events, table plan etc. Liaise with the organiser – confirm order and timing of events in accordance with your requirements.